Club managers can now independently monitor and advance their own Service Levels, as they utilise the innovative ‘my59’ software, engineered by 59club… the Leading Customer-Service & Sales Analysts. Striving for Customer Service Excellence? Developed by 59club to advance Industry Sales Techniques & Customer Service Principles, my59 software provides the expertise, mechanism and freedom to independently deliver Customer Satisfaction Surveys & Mystery Shopper Audits using 59club's industry leading benchmarking assessment criteria & survey templates. Complete with the ability to benchmark your performance levels against the ‘industry’ standards and the ‘elite’ performers, the global data generates real and current information of the highest quality and value. This best practice management tool pinpoints strengths and weaknesses within your customer service offering and sales procedures empowering you to make informed decisions to advance. 59club’s ethos works in all business irrespective of their size or make-up. 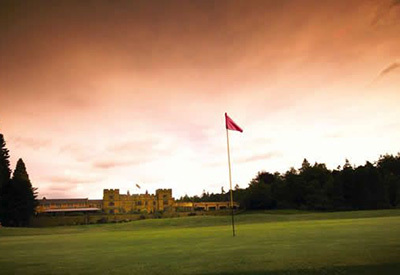 For example, we have golf clients who charge just £12 per round and others who charge in excess of £250. my59 software enables managers to select a trusted person to complete a mystery test, with the web-based system designed to fully prepare the individual for what is required in order to complete their audit. Once the test has been carried out and the online report completed, feedback analysis assists you to analyse and improve your customer journey, maximising future sales opportunities in the process. 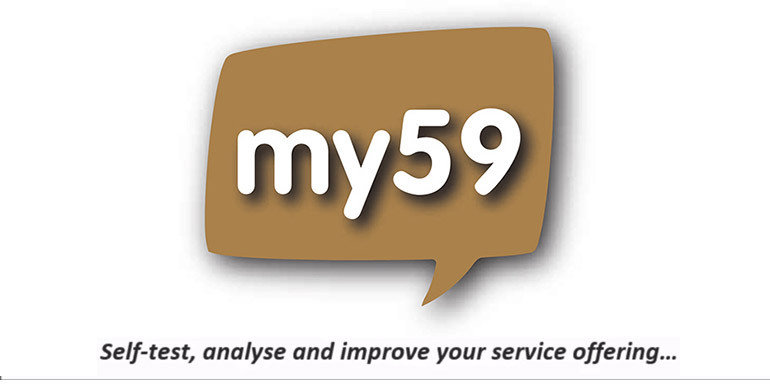 my59 assists you to create, market & deliver online surveys to your members, visitors or staff. Deliver a one-off survey OR schedule a ‘series’ of questionnaires, to be emailed in sequence to your customers, at preprogrammed intervals as dictated by your customer journey. Create your survey from the wealth of industry leading pre-set survey templates which include ‘quick fire’ questions that will measure your customer satisfaction levels, complete with the facility to add your own specific questions or create a survey entirely of your own making. The software is fully automated, it knows each time a customer visits, makes a purchase or joins the club and will automatically generate the relevant pre-set Satisfaction Survey. With each pre-set question you chose to include within your survey, results can be compared to the best performing clubs and the rest of the my59 industry. The results will highlight strengths and weaknesses, providing clear direction on measures that will lead to improved service offering. You can also choose to receive ‘independent’ mystery tests through 59club, Europe's leading customer service analysts and training consultants. The industry experts at 59Club are on hand to provide support and assistance for all golf and leisure businesses keen to develop customer service and sales systems. Its products and insight provide measurable indicators which allow you to exploit every opportunity presented to each department within your club, from the sales team, front-line operators and those responsible for member and visitor retention. 59club provide venues with a valuable management tool to measure, improve and then maintain standards of customer service, in turn increasing visitor and member retention. The end result being a boost to customer satisfaction, revenues and profits.